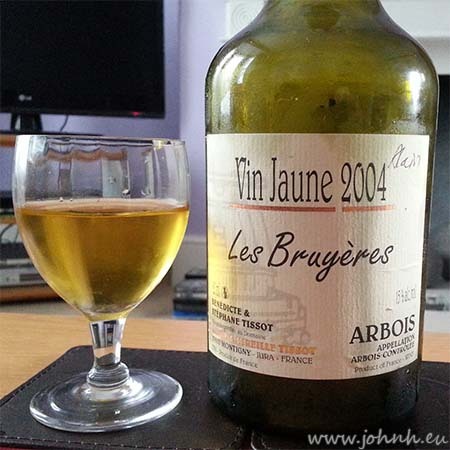 A bottle of the unusual Vin Jaune, Arbois appellation contrôlé, from Montigny in the Jura region of France, that's the low mountains between the Rhône and the Alps. Vin Jaune is matured in a vat under a layer of yeast and then bottled in bottles of 620ml capacity and a characteristic shape, sealed with wax (as would be a port wine). We’ve been enjoying three bottles of Tempranillo wine from north Spain over this stormy Easter weekend: Ribera del Duero of Marques de Almeida 2014 (Sainsburys £7.99), Allende la Vega 2013 (Waitrose £9.99) and Reserva 2011 (Tesco £6.99). They’re not quite cheap enough for “everyday” drinking neither are they in the “special occasion only” price range. All three have surprised with their complex flavours from a single grape wine. Here are our notes and conclusions. Carménère grape used to be a staple of the Bordeaux clarets but has been largely replaced in France by varieties of the Merlot grape for reasons of yield in the climate of the Bordeaux area, which attracts storms from the Atlantic. 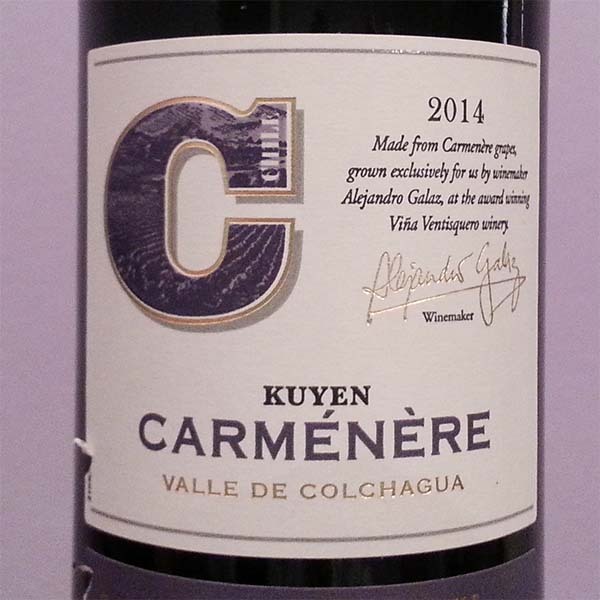 Carménère has been successfully transferred to the resurgent Chilean vineyards in the rebuilding since the boom and consequent bust following the liberalisation of Chile (including wine production) after the 1974 reforms under the Pinochet regime. European producers arrived in strength, including producers from Bordeaux including the Rothschilds. So although Chilean wine is mostly known in Europe for its exports of single grape wines, particularly Cabernet Sauvignon and Pinot Noir, there is production of other grape types which are not exported in large volumes; for example there's a fine Blanc de Noir, a sparking white wine from Pinot Noir grapes. 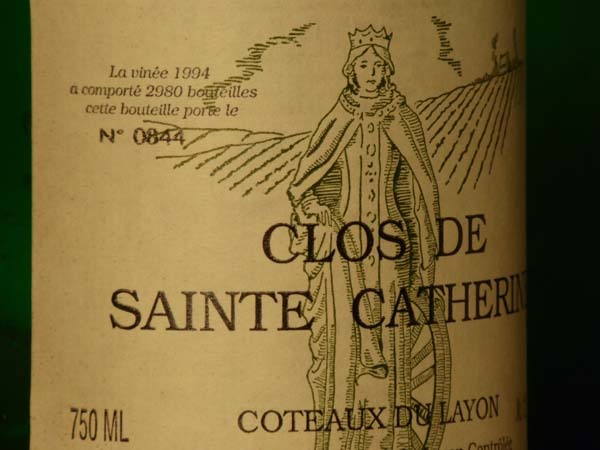 A fine Clos de Sainte Catherine from 1994. The label states this was bottle 0844 of 2980. One of the finest sweet white wines of the Coeaux de Layon in the Bordeaux region. More gooseberry than vanilla or honey and with a delightful after taste, no sign of sourness or bitterness. 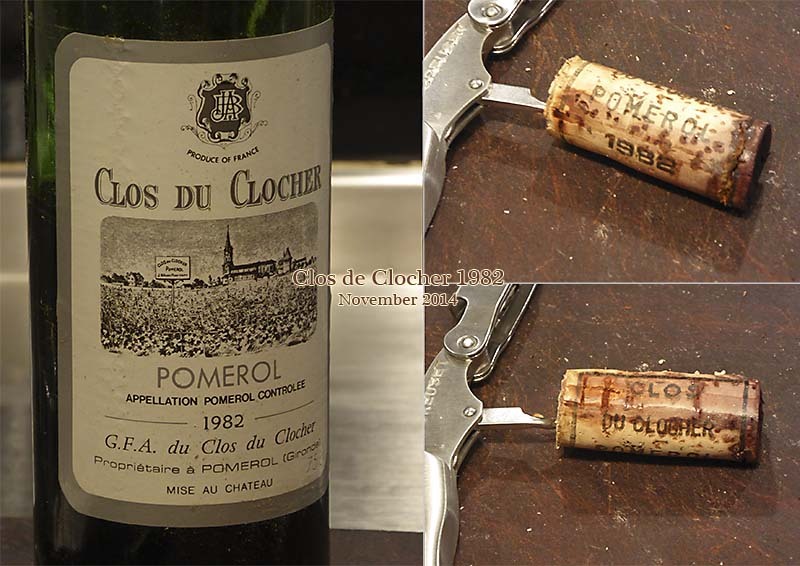 My Father's cellar held a 1999 bottle as well. On the basis of last night's tasting this remaining bottle (0554 from 6633 in 1999) should wait another five years before drinking.